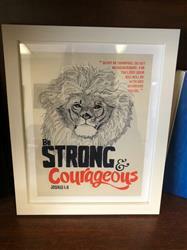 A fine art print based on Joshua 1:9. These were the words God spoke over Joshua before he was to lead the Israelites into the promised land. A great reminder for any Christian seeking to live with courage and strength. 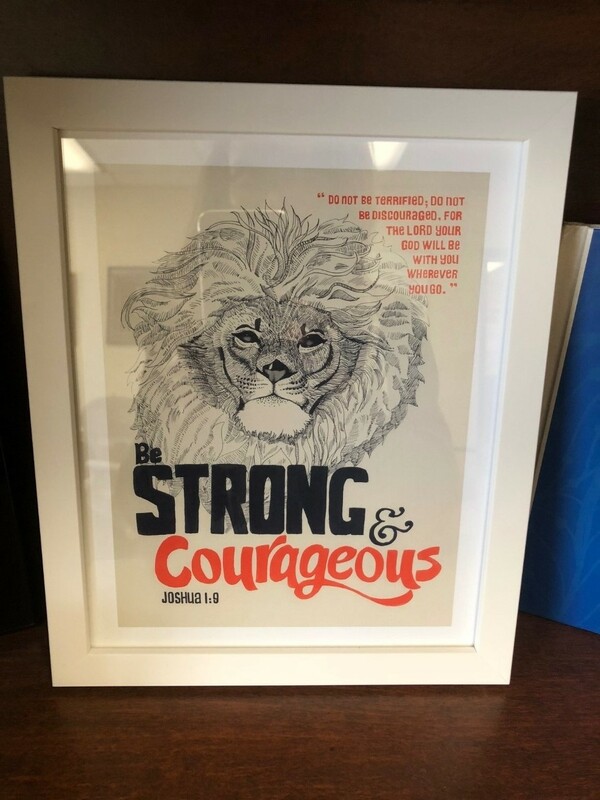 I bought this as a gift for a friend who loves lions and the specific scripture. It turned out to be so wonderful and I was blown away when I opened it up and saw it in person. Beautiful artistry/print! This print is a beautiful work of art, and a great reminder of God’s truth. 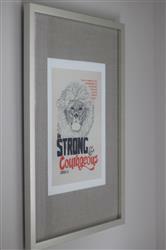 It is one of our favourite verses that we wanted to instil in our young boys’ mind, so we purchased to hang in their shared bathroom. The quality is exceptional. We are overjoyed to have come across Jason and Laura’s work! Love this picture. Really beautiful, great detail and quality. It is in my office at work and I love looking at it every day.